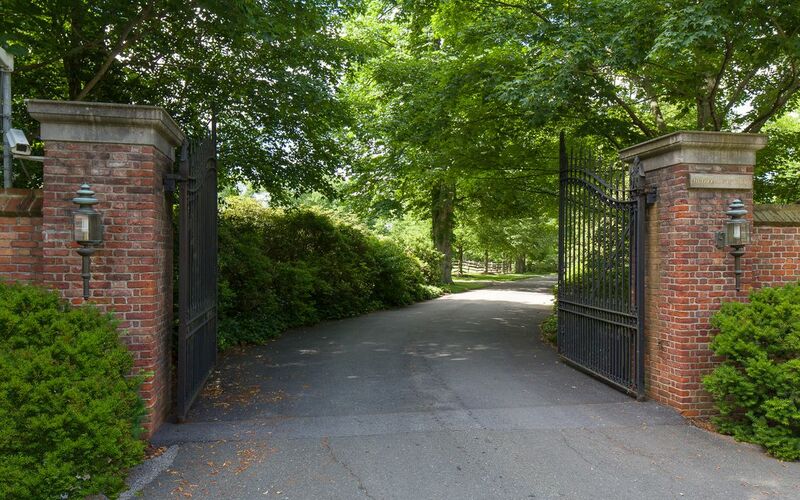 How inviting does that set of open gates look? 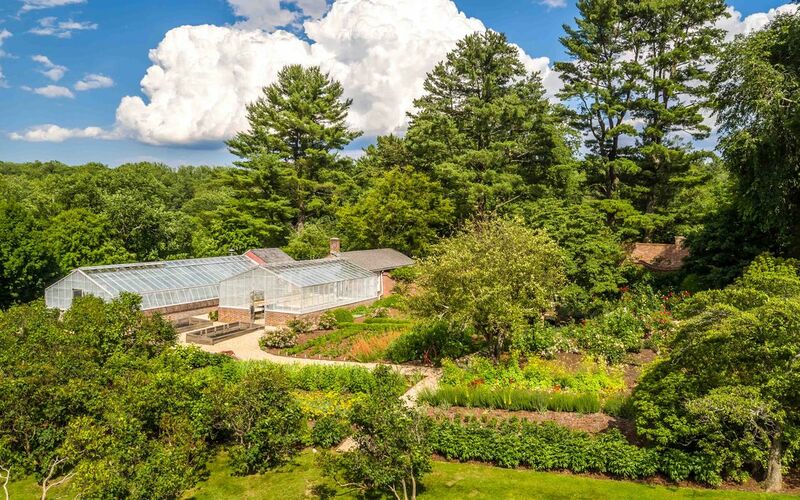 Beyond them lies the 75-acre Westchester County estate of David Rockefeller, banker/investor/statesman/philanthropist/art collector and, of course, grandson of John D. Rockefeller. 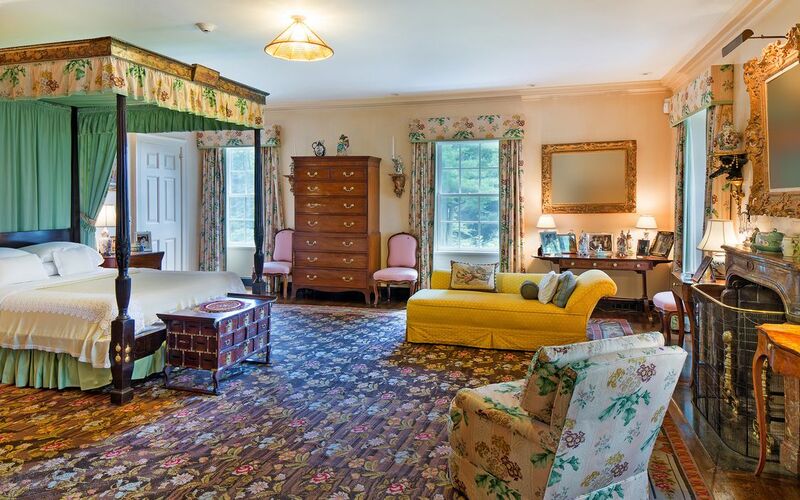 David Rockefeller passed away in March of this year, and now the property where he and his wife, Peggy, raised their six children is on the market for $22 million. What does that have to do with us? 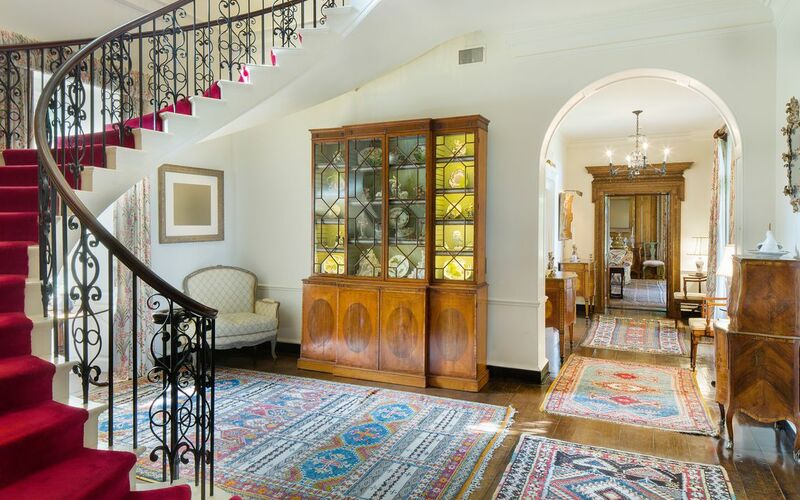 A listing gives us the chance to take a peek inside an otherwise off-limits property. Consider it a free house tour. 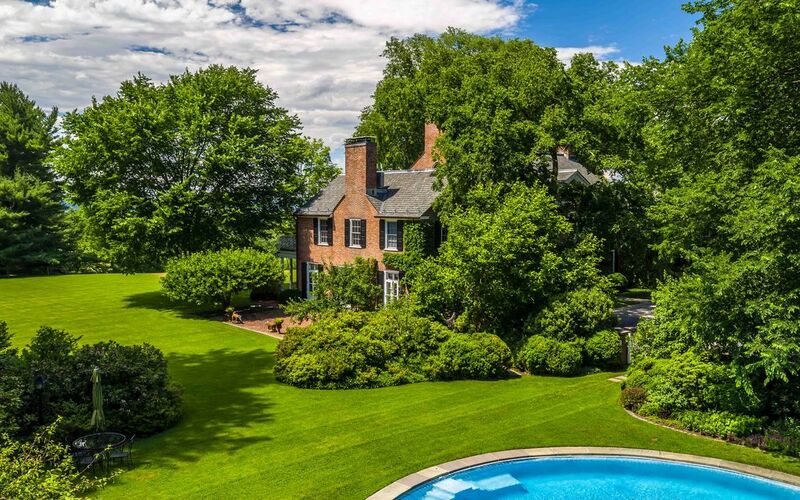 What’s included in that listing price for the Mott Schmidt-designed compound? 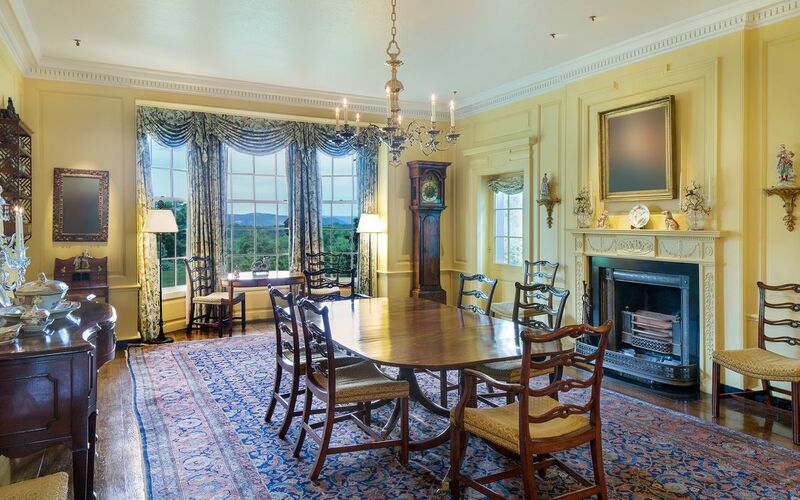 Well, pretty much everything you can think of: over 11,000 square feet of interior space in the main house, 11 bedrooms, elevator, exercise room, multiple sitting rooms, and formal dining room. 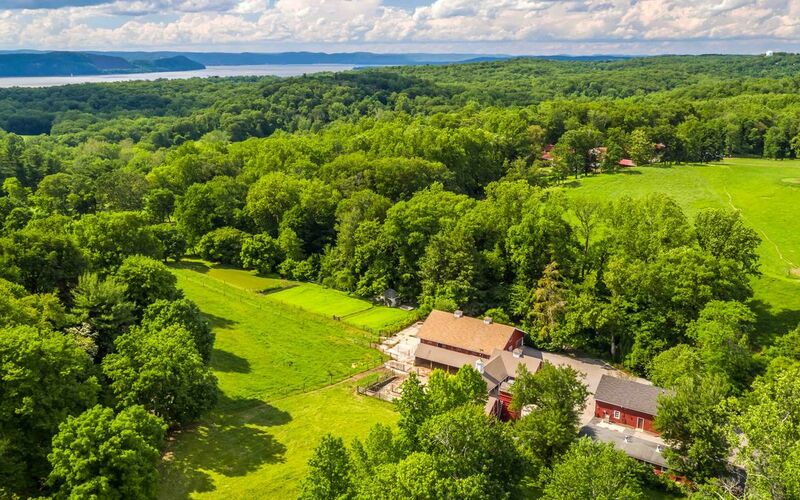 Meanwhile, elsewhere on the property, there’s a greenhouse, guest quarters, horse property +stables/paddocks, and in-ground pool, not to mention all the privacy and picturesque Hudson River views $22 million will buy you. Enough talk! Let’s get to the eye-candy! 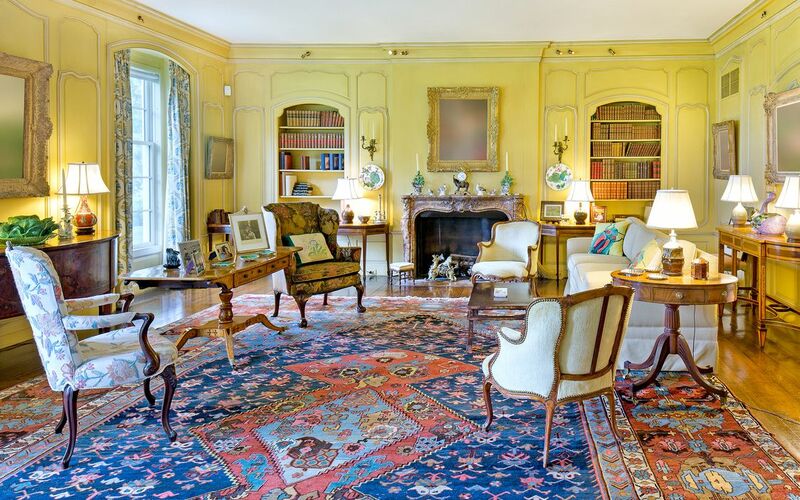 Want to see more of this impressive Hudson Valley estate? 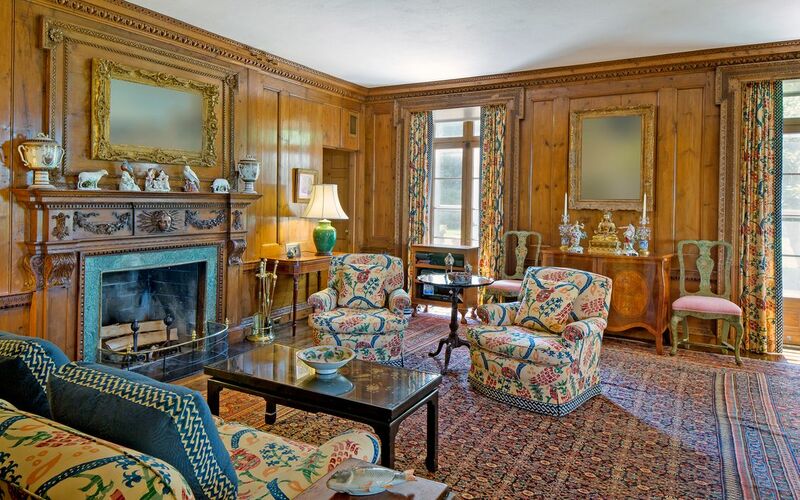 Find the listing for 180 Bedford Road, Sleepy Hollow on Houlihan Lawrence.